These islands are the terror of the inmates. It’s the end of the jail, the oubliettes of the transportation. "The silent", "The man-eater" or even "The dry guillotine"; there has been many adjectives to describe how tough was the conditions of living that the worst prisoners had to face when there were sent to the Saint-Joseph island: the prison of the prison. Let's go back to its origins. With the Royal Island and the devil island, they constitute the salvation islands (known as the devil's islands in English). They were discovered by settlers between 1763 and 1765 during the expedition of Kourou which goal was to spread the power and influence of the French colonial empire. It was a huge disaster as more than 60% of the settlers died of fever or hunger. These three islands located 13 km from Kourou were used as a shelter for the survivors who took advantage of this land of refuge with a better healthy climate to survive (that's where the name "salvation islands" comes from). Since 1797, the French government gradually transformed Guiana into a penal colony with the establishment of labour camps (the inspiration come from the English model in Australia). There were two goals to achieve: Emptying the French jails from the criminals and send them to Guiana as workforce to inhabit and develop this colony. The devil's islands were perfect for that: Hygienic conditions, the ease of the access for the landing and the complete isolation which reduced the chances of escape. So, from the start, they decided to send the prisoners there. After having welcomed the "volunteer" prisoners who had to "doubled" (meaning they had to stay in Guiana as long as they were imprisoned there) their sentence in the camp of transportation; then the politic prisoners of Louis Napoléon Bonaparte until 1855, the island Saint-Joseph changed its vocation by decree in 1891: it was then assigned to convicted persons to the cellular reclusion by the maritime tribunal of the colony. Meaning only the tough guys. Usually, you were sent to the "Dry Guillotine" when you tried several times to escape, or if for attempted or successful attempts of murder. Or just for insubordination when a guard of the penitentiary administration didn't like you. This punishment was saved for "incorrigible" convicts and the island Saint Joseph became the most feared place of detention of the colony; the jail of the jail sort of. For that, we built the reclusion camp where the obstinate inmates occupied approximately three hundred cells, not in a correctional objective, but only for punishment. The prisoners who integrated these cells knew that they chance of escape were close to non-existent. The strong flows surrounding the island, the starving sharks, the day and night surveillance were some of the insurmountable obstacles. As well, the chances to survive to this prison weren’t really much bigger as we are going to see it. Once at the reclusion, prisoners had to follow very strict rules. Detained in very promiscuous cells, they were rigorously forbidden to talk, smoke, read, detain any object or even sit before night falls. They had nothing to do except going round and round in circles in their cages where the light of the day never entered. They were locked up alone in a 2/1,4 square meters cell which didn't have any ceiling but a grid through which guards could keep a close eye on them all the time from a raised footbridge where they patrolled (in slippers to catch them by surprise). The whole building was covered by a roof made of sheets of metal. They were not authorized to see anybody and were submit to complete silence (talking to a guard often ended up in a punishment). The only furniture of the cell was a small bench they had to put up during the day to prevent them to rest. They were only entitled to a daily one hour walk in a special cell with an open roof. Every cell was equipped of a narrow grill where inmates put their head for the weekly visit of the doctor and to receive their bowl of soup. The surveillance and the perpetual bullying of the prison wardens were constant for the prisoners who were afraid to see their sentence extended at every turn. 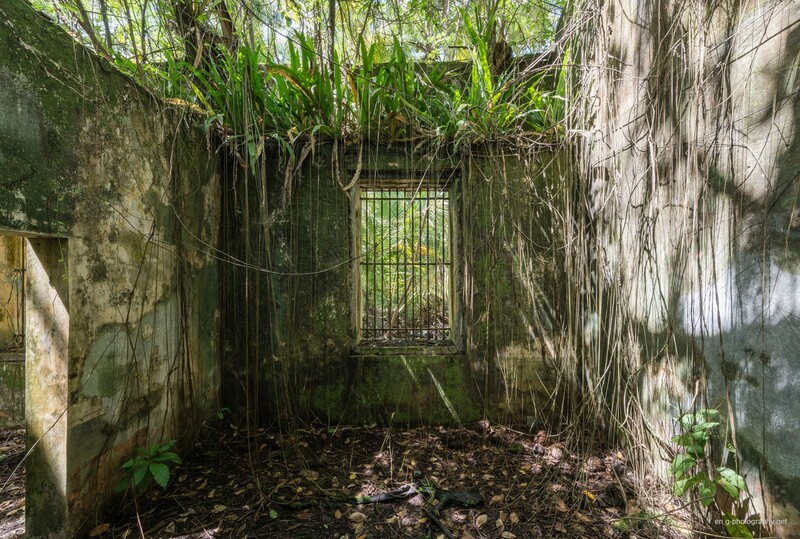 The dirtiness was a constituent part of their detention, and if you add up the heat and the stiffing humidity of the jungle, you understand why one out three inmates died there from diseases inherent of the area (when they weren't simply dying from hunger or bad treatments). The rest left manage to survive but with after effects that will haunt them until their death (scurvy, tuberculosis, blindness, madness, etc.…). All these dreadful conditions of imprisonment were exposed to the general public thanks to the incredible dedication of some brave men like the journalist Albert Londres, the doctor Louis Rousseau or the colonel Sainz. Their efforts to expose the horrible conditions of these men finally lead to the signature of a decree putting an end of the system of the transportation in 1938. However, the lack of willing of some (especially the Vichy government) during the world war two only made the situation worse and prevent the real closure of the penal colony. Except the island Saint Joseph who saw its prisoners living the last months of their calvary in 1938 when they were transferred to the royal island where there were more human conditions of incarceration. When the European populations discovered what terrible atrocities Germans did in the concentration camps, the international pressure, especially American, became stronger. The effective shutting down of the penal colony finally took place in 1946. What was left of the convicts in Guiana was gathered on the royal island, then sent back little by little in France until 1953. At this point, there were not a single prisoner left in the country. ... Next part seen at "The Dry Guillotine: What the Previous 'Prison of Prison' Island Looks Like Now". Photo gallery: Saint-Joseph Island's Dry Guillotine. Previous articles: Ask the Dust: Photo Collection of Abandoned Places. Faded Dream: Once Famous Amusement Park Became Sleeping Beauty. 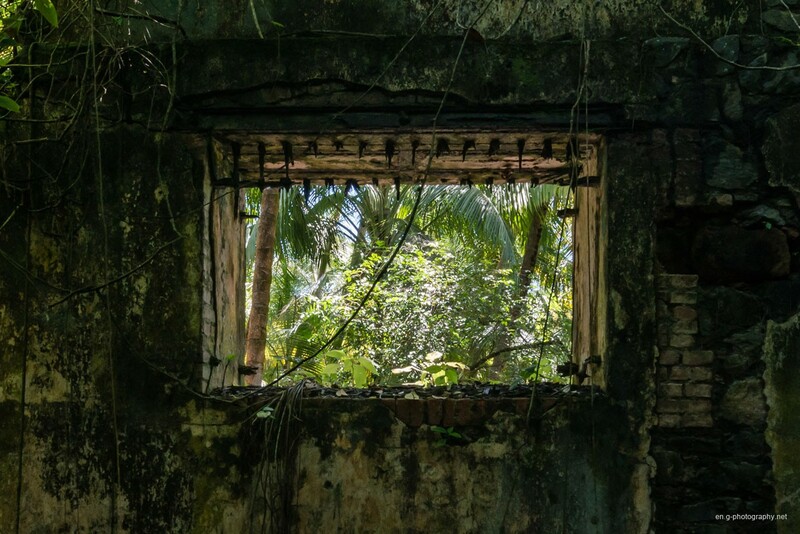 The Ghost Hotel: Once Star Hotel Lost in the Bali Island.